It's nine years today since my father passed away. This is his story. Arno Josef Zapf was born on the 3rd July 1932 in Staffelstein, Bavaria, Germany. 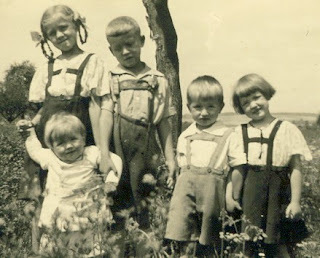 The fourth of seven children born to Lucia Hagenbarth and Hans Josef Zapf. He was a bright child, but world war two was about to change all of their lives. 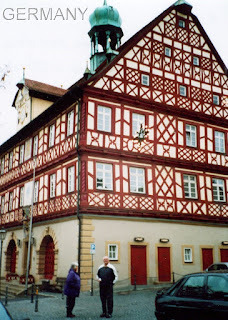 The family lived in the beautiful medieval town of Bamberg, with its gorgeous cobblestoned roads. Right in the middle of Bamberg, above the Bakery in Gruner Markt. It must have been extremely cramped. But, Arno never complained about that aspect of his childhood, except when the word 'Polenta' was mentioned, then he would tell us now much he hated it! Food was always a scarcity as Arno grew, his mother would spend all days in her kitchen, which was part of their living quarters. On Shrove Tuesday, Lucia would spend the day grating a huge pot of potato to make Kartoffelpuffers (Potato Fritters). 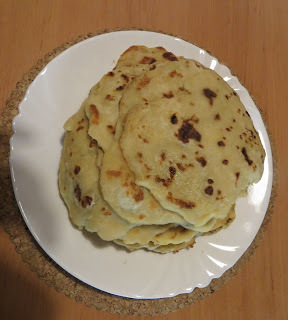 These were shallow-fried and had flour and egg added to the grated potato. Arno would then ensure that he won the competition, which was to eat the most number of Kartoffelpuffers, ending up always, with a sore stomach. 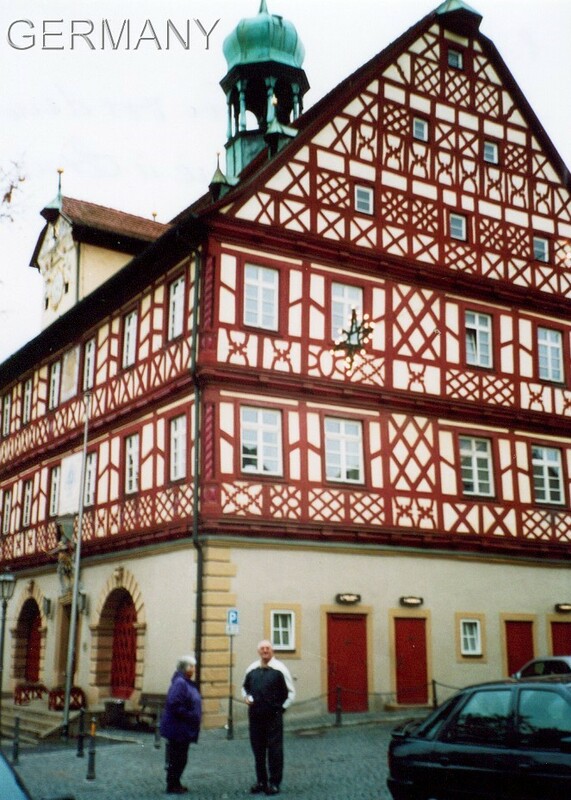 Bamberg was hit by bombing from the allied forces during 1945 in the dying stages of world war two. It was during this time when the US Troops were stationed in Bamberg that Arno was paid by the soldiers to assist them to remove the dead bodies from the damaged buildings. During one of our walks in 1975, Arno showed me the buildings. Here is some rare footage (no sound) of the attack on the town of Bamberg on 15 April 1945. Arno left school after eight years and started an apprenticeship as a hairdresser, which he didn't like at all. 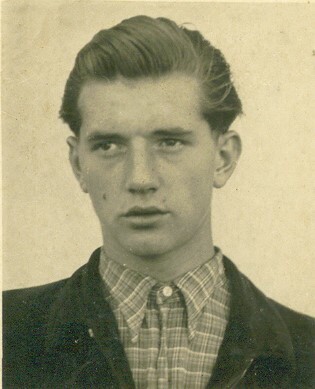 He then became an apprenticed electrician in Bamberg (Firma, Deubert 1946 - 1950) and (Firma, Tempel 1951-1953) working in House construction. But, this was now post-war Germany and once Arno finished his apprenticeship he became unemployed...it was a tough time. He made a decision, he was going to emigrate to America. So he started to explore this as a possibility. Where was Arno going to end up and was he (as his mother's favourite child) really going to leave the country of his birth? Come back for part two to see if he really did find his 'Utopia' on the other side of the world. Times were tough for him. I look forward to reading part 2. We share Bavaria in our ancestry, and Upper Franconia, though yours is more recent. Thank you Pauleen. I'm amazed at what I've just found...looking forward to sharing it. Oh wow, how intense Fiona can't wait to read more!